Hola everyone! Everyone knows how often we girls do online shopping and today, you guys are in for a treat because I'm gonna share with you guys some shopping hacks I personally use whenever I shop online. If you are constantly thinking about all these problems, you SHOULD continue reading below! I'm sure everyone knows the pros to online shopping, the most important to me personally is definitely how convenient it is. At the touch of a finger, we purchase, pay and receive goods. Gone were the days we actually had to travel to a place to buy things, carry and pay with physical cash and the worse part... you gotta lug it home! Another huge benefit shopping online offers is that we can now buy items that could only be found overseas, super easily! 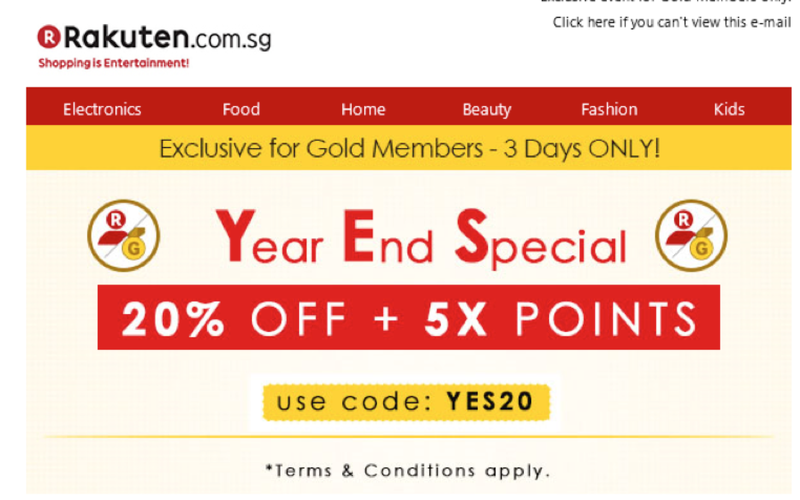 For those that don't know much about Rakuten, The Rakuten Singapore Marketplace was started in 2014, with over 500 different merchants carrying more than 330,000 items on the site ranging from Food and beverages, to beauty, to home and living goods. You can find anything and everything under the sun really! On top of that, Rakuten is a Japanese Online Shopping mall with 30% of its merchants coming from Japan itself, so you can be assured good quality and authentic goods without having to fly to Japan! Purchase things like Japanese Wagyu Beef, to Japanese snacks and even Japanese furniture online on Rakuten super easily. How cool is that! So.... Rakuten challenged me to come up with as many shopping hacks as I could, so after visiting Rakuten a few times, here are my TOP 5 SHOPPING HACKS I've decided to share with you guys! This is the first and the MOST ESSENTIAL step to getting all the savings you can while shopping. Being a Rakuten member is really da bomb because they literally offer so much more savings and premium perks to their members! 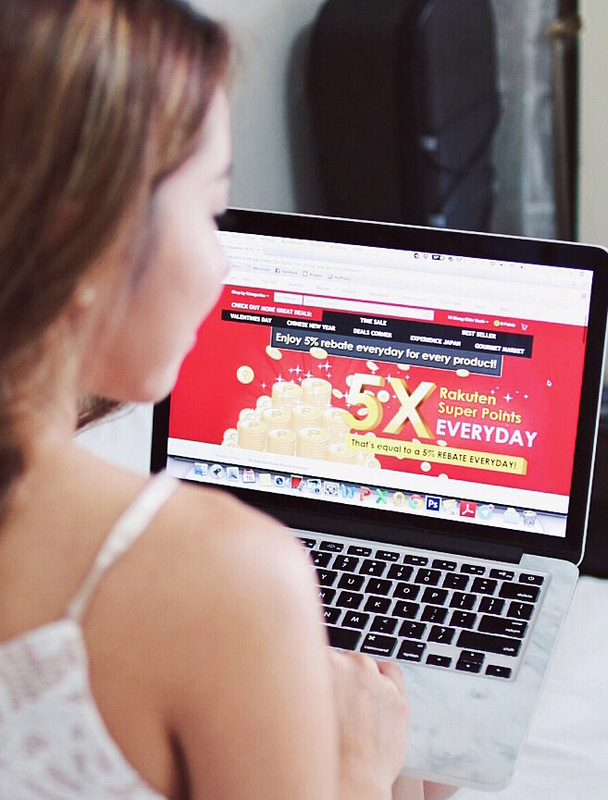 Just recently, they rolled out the Rakuten Super Points system for members, that allow you to receive 5X more Rakuten Super Points, which calculates to a 5% rebate instantly! You can use these superpoints as rebates to your future purchases and it's super worth it. For example, buying these snowball cookies for $26 would have usually gotten me only 26 Points, but if you sign up as a Rakuten Member now, your purchases will earn you 5 times the points! Which means, buying these snowball cookies will get me 130 points, and you'll now get it 5% cheaper because of the rebate, that's so insane!!! With every 100 points earned, you get $1 rebate. So buying a packet of snowball cookies for $26 will give you $1.30 off your next purchase, and so on. 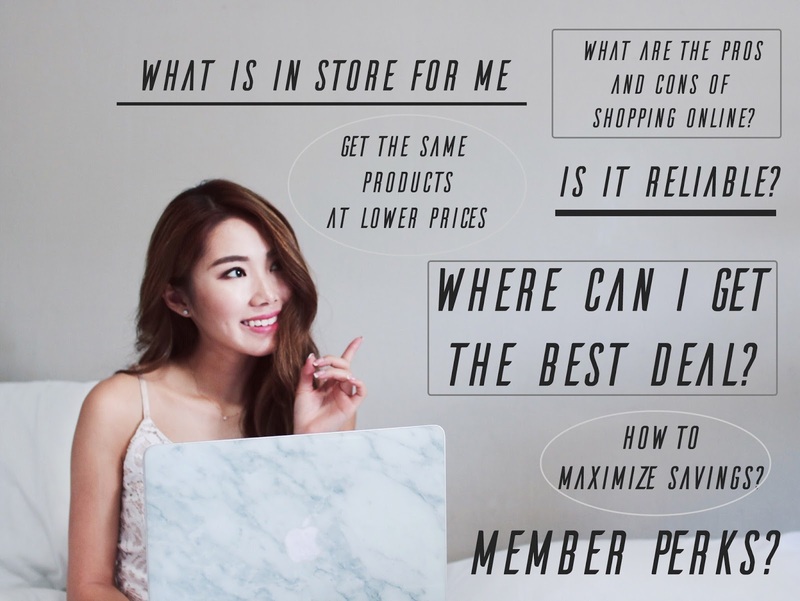 After you've become a member, you should definitely sign up for their direct email because that's also where Rakuten sends most of their amazing deals, savings, discounts and goodies to their members! Get first hand information on the latest deals, items, discount coupons and yes, they even celebrate your birthdays with you by giving you birthday coupons, how sweet! What I like about Rakuten is that there are products that you can buy with your girlfriends to get the maximum amount of savings! They call it "Saver Packs" which simply means, buy more, pay less for each unit purchased, this makes it really economical because this is where you get huge discounts! For the list of saver packs you can buy, click here. 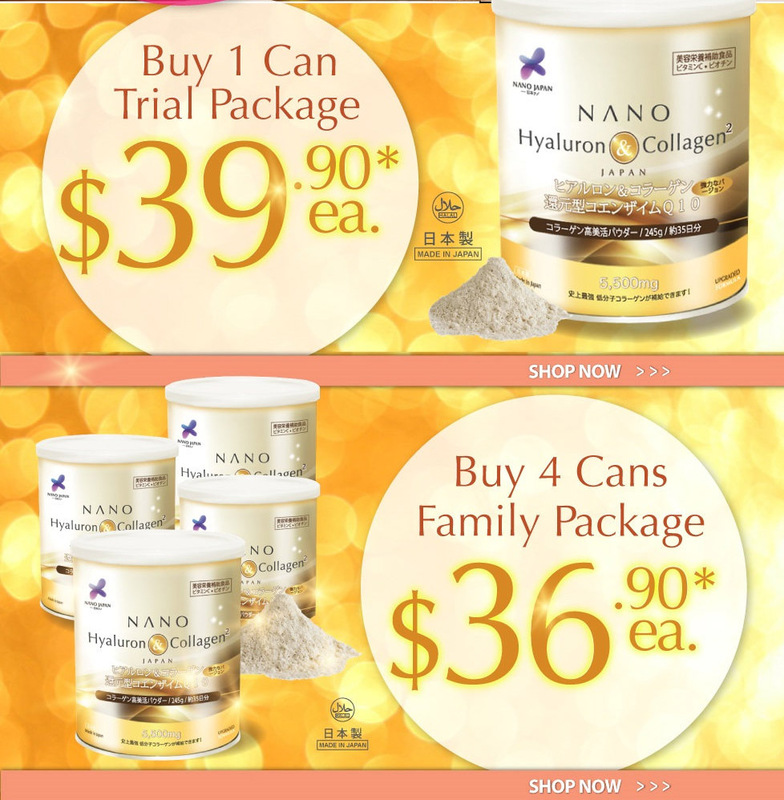 You can get the famous NanoJapan Collagen easily and at a lower price if you buy more at one go. Can't wait to try this out because i've heard so many good reviews on it, and when it comes to Japanese and their beauty innovations, simply no questions asked. They make the best in the market! Stock up, buy as gifts or ask your girlfriends to share it with you. The amount saved is worth it, especially for the essentials you know you will have to be purchasing later on anyway. If you already know that you HAVE to purchase these products sooner or later because they are so indispensable in your life that you'll get a replacement after you run out.. then why not buy them on Rakuten (in bulk preferably) and earn the super points? I remove my make up every single day, it is only a matter of time I run out of it. Buying the Bioderma Cleansing Water on Rakuten not only saves me the trouble of carrying them back home, I am also accumulating 200 Rakuten Super Points ($2 Credit) , which I can then use to rebate my future purchases. Since I know I am going to be buying these items anyway, my secret would be to purchase it on Rakuten and earn points! 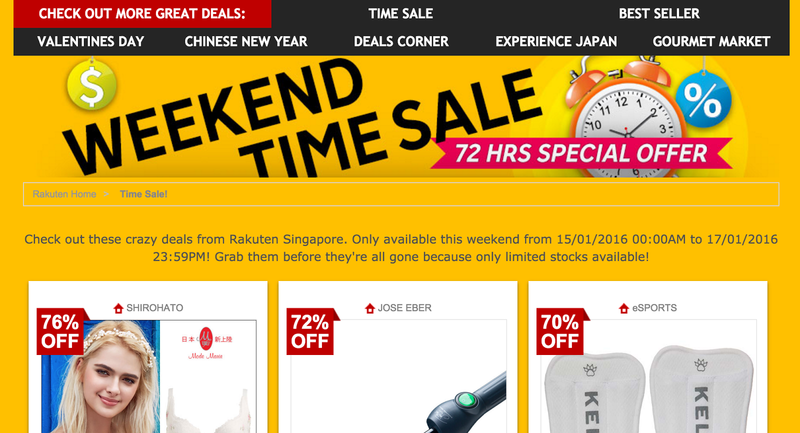 There will be certain days of the week where Rakuten will work with other brands to bring us more discounts. Tuesdays are Mastercard Tuesdays, where shoppers get extra 5% rebate when they pay with Mastercard. Other than that, check out their usual deals corner and camp there! No I'm just kidding, you don't have to camp there, but seriously, that is one page you won't want to miss. You can find deals on electronic products, food, alcohol, home and living, decor pieces, beauty stuff and more! Timesales are also places to look out because the deals are only on for a very limited period only. You snooze, you lose. There are definitely more hacks I can share with you guys but these are basically the main 5 I found to be the most effective and most helpful to me. I am currently competing among other bloggers in the #rakutenangpaogiveaway contest to win some Rakuten vouchers for myself! 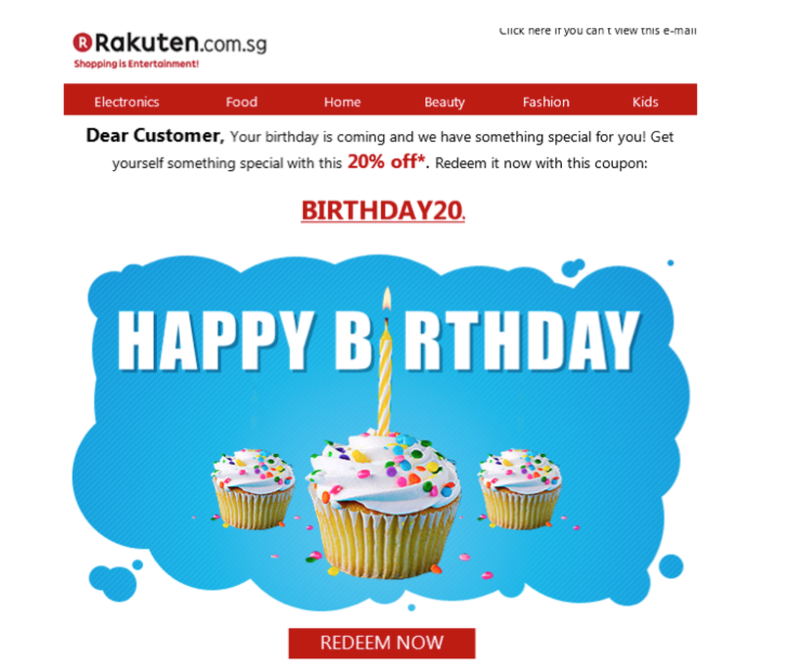 If you've become a Rakuten member and would love to share some of your love with me, kindly head over to input your email in this form so that they will know that I sent you there. Hope you guys found this post useful!